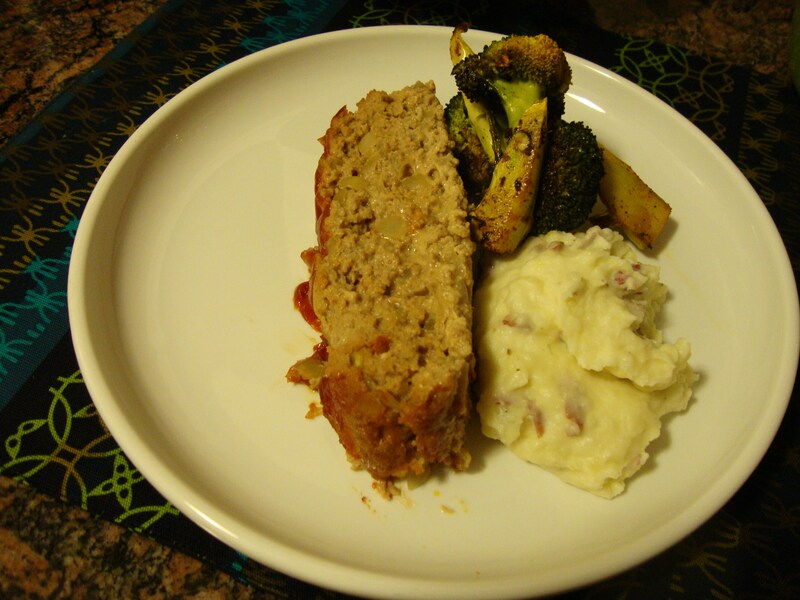 Christmas is the perfect time for some comfort food, so I just had to share this amazing turkey meatloaf recipe from Barefoot Contessa. I paired it with Parmesan smashed potatoes and my absolute favorite broccoli recipe ever — chili-garlic roasted broccoli — from Rachael Ray. It was home-cooked heaven on a plate. Let’s start with the meatloaf. 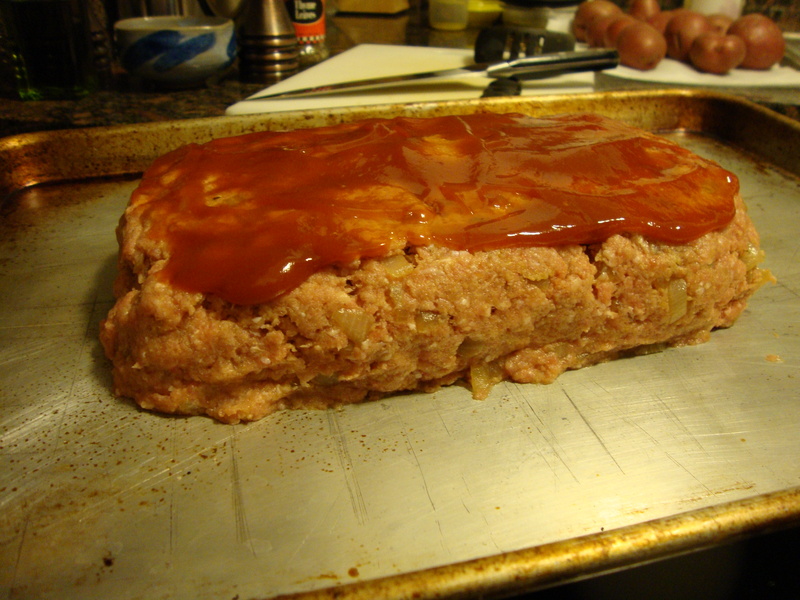 I was never a meatloaf eater until recently. My parents never made it — maybe because it had a bit of a 70s TV dinner bad rap. 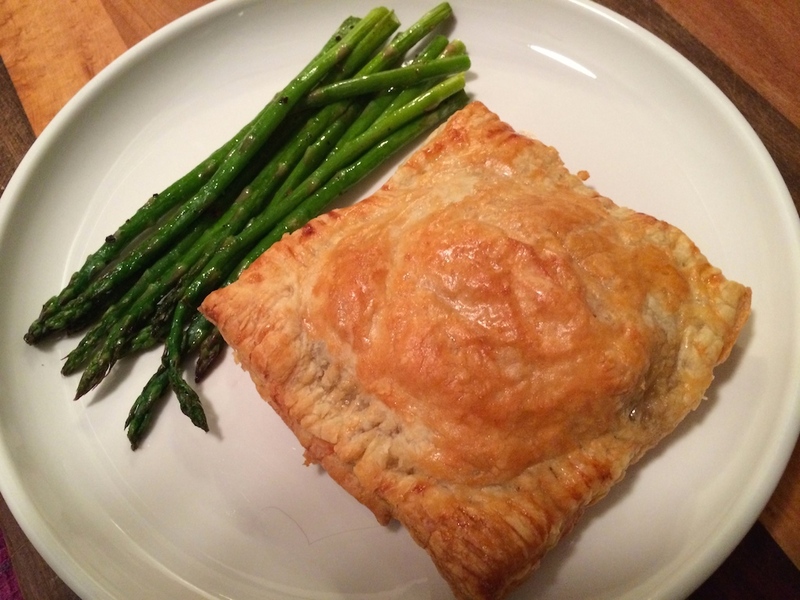 But this version is moist, full of flavor and so tender it practically falls apart. Who would think that could be possible with ground turkey? 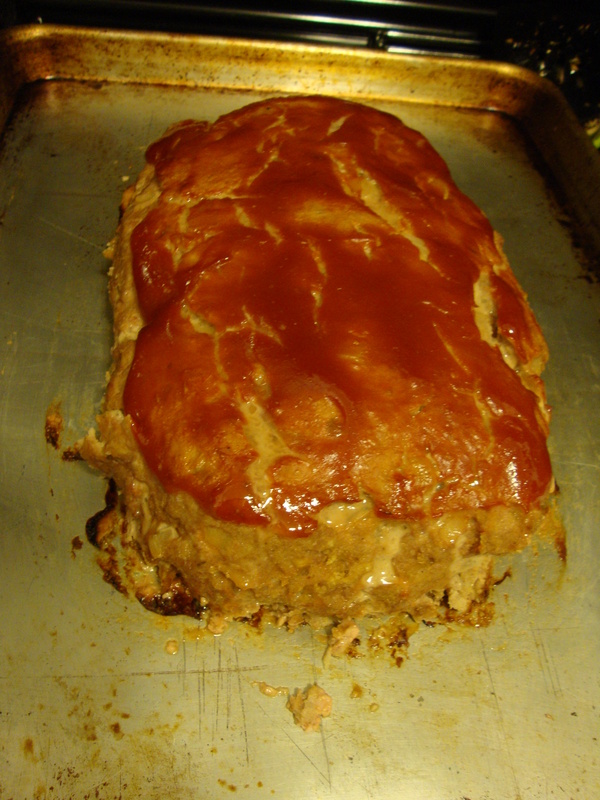 Barefoot Contessa’s recipe below makes a massive meatloaf. Five pounds of turkey? Umm, yeah. I cut it in half, and it was still a ton of food. I still had to cook it for about an hour and a quarter to cook it all the way through. It’s also important to note that this is one of the few recipes including ketchup that I am willing to eat. 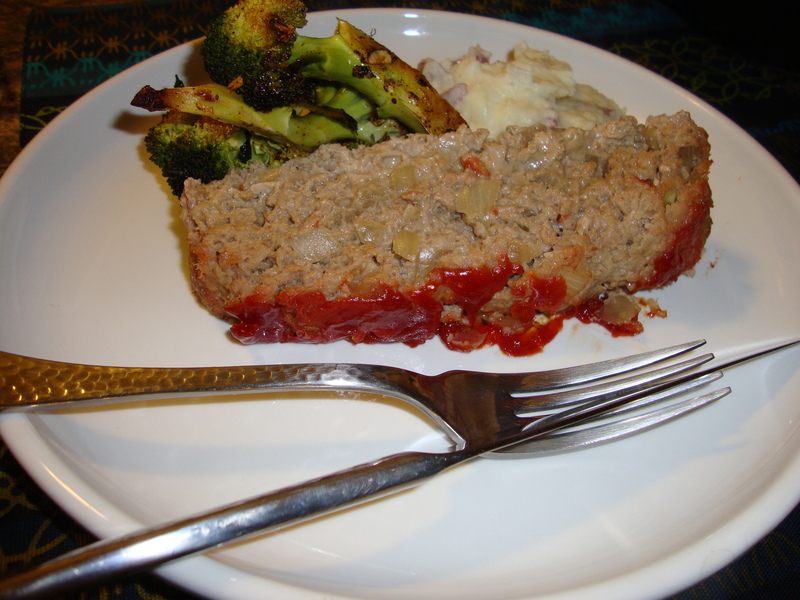 I *hate* ketchup — but I think cooking it for so long must tone it down, because it’s actually quite good on top of this meatloaf! On to the potatoes. First things first — they’re not low fat. We’re talking heavy cream, sour cream, butter, cheese…but all of that makes these some pretty incredible potatoes. When you start mixing in the warmed up cream mixture, you’re going to think you’re making the potatoes too watery, but don’t worry — the potatoes soak up all that goodness in no time, making some of the fluffiest, creamiest potatoes I’ve ever had. And finally — my favorite broccoli. Roasting the broccoli in the oven adds so much flavor — it’s nutty and sweet, and the garlic and chili powder add some zip. I could literally eat this as a main course, it’s so good. I will never again boil or steam broccoli! The only problem I encountered was that cooking it to go with the meatloaf was tough because it needs a much higher temp than the meatloaf, so you can’t put them in the oven at the same time. I’d recommend cooking the meatloaf first, then letting it rest under foil while you do the broccoli. You really need the high heat to make the broccoli work, otherwise, I’d just say put it in for a little longer. 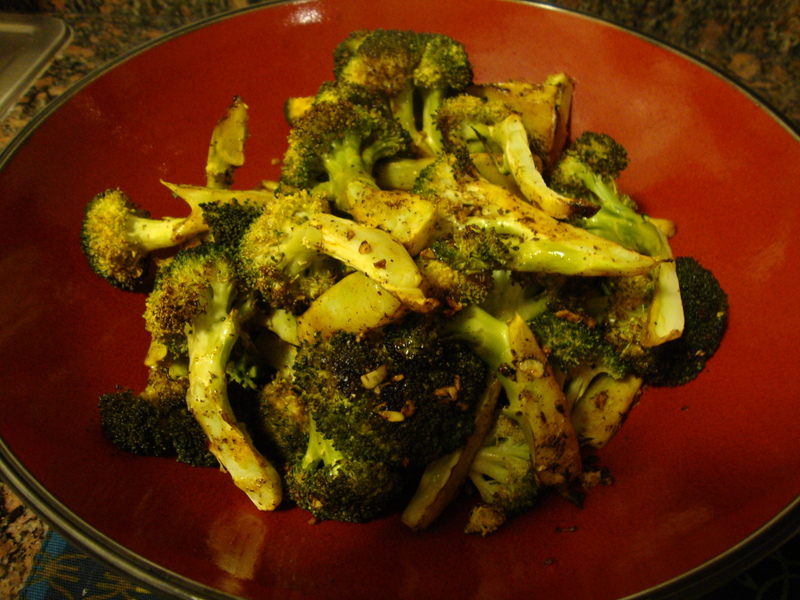 But the high heat crisps up the florets and caramelizes the broccoli — yum! I hope you enjoy this meal… and Merry Christmas! 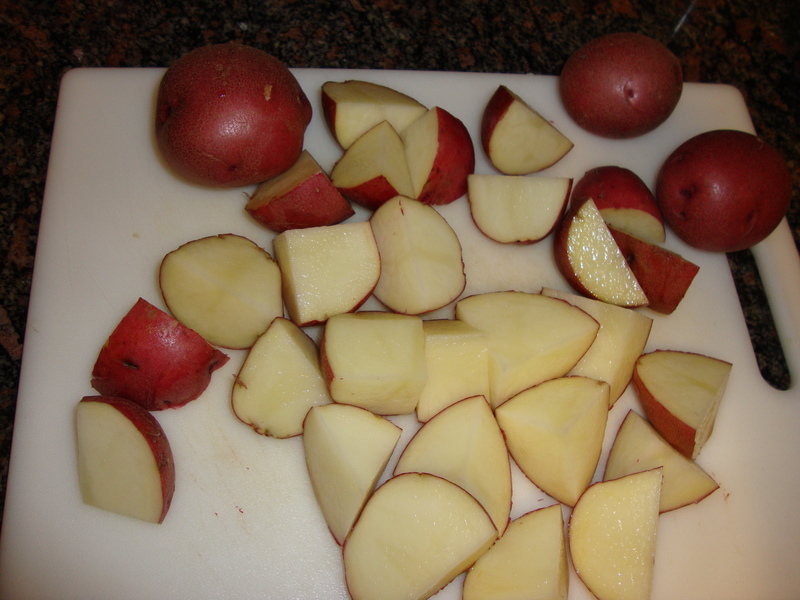 Place the potatoes and 1 tablespoon of salt in a 4-quart saucepan and add cold water to cover. Bring to a boil, lower the heat and simmer covered for 25 to 35 minutes, until completely tender. Drain. In a small saucepan, heat the half-and-half and butter. 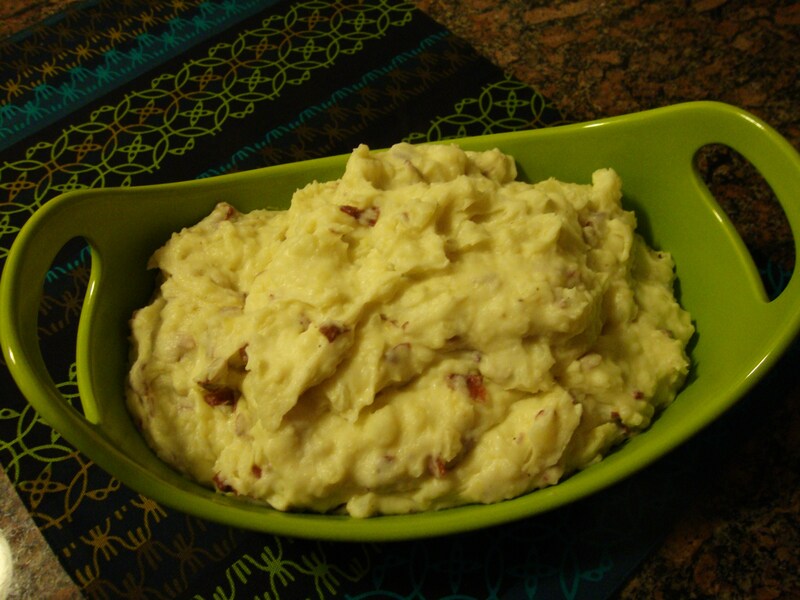 Put the potatoes into the bowl of an electric mixer fitted with a paddle attachment and mix the potatoes for a few seconds on low speed, to break them up. Slowly add the hot cream and butter to the potatoes, mixing on the lowest speed (the last quarter of the cream should be folded in by hand). 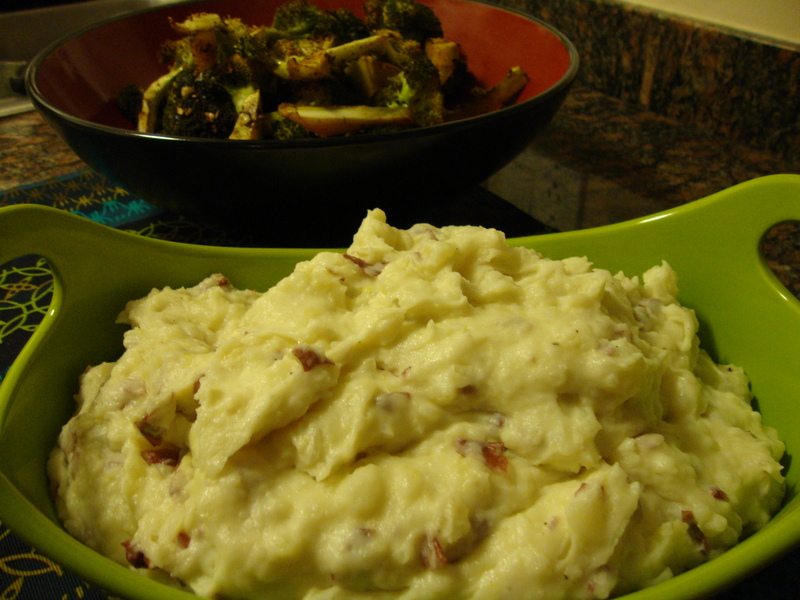 Fold in the sour cream, Parmesan cheese, the remaining salt, and pepper; taste for seasoning and serve immediately. If the potatoes are too thick, add more hot cream and butter. Place extra-virgin olive oil, garlic, chili powder and grill seasoning in the bottom of a large bowl and add the broccoli spears. 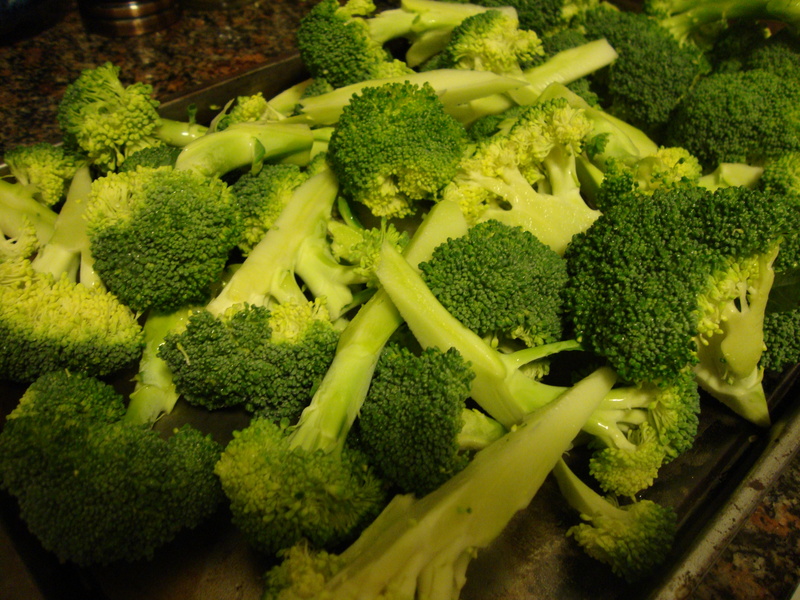 Toss to coat broccoli evenly then transfer to a large nonstick baking sheet. 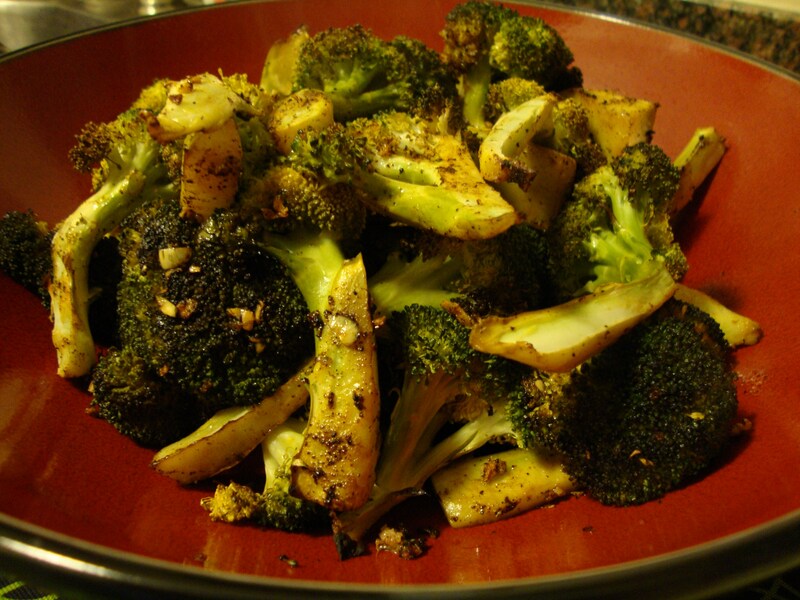 Roast the broccoli until ends are crisp and brown and stalks are tender, 17 to 20 minutes. What makes these “New England” you ask? As a New Hampshire native, I say that’s an excellent question. And I have no idea. (The apple? Cheddar? Eh. Weak.) Despite that, they were very tasty and you should make them. It’s no secret that I’m a sandwich girl. Sandwiches, burgers, melts, paninis — you name it, I love it. They’re so easy — everything is right there in one handy little package you can hold in your hand. What’s not to love? I’ve got some quirks when it comes to sandwiches, though. If it’s a cold sandwich, it has to be made by someone else. I just don’t like cold sandwiches I make myself. I’ll eat them, but I won’t like them. Not so with hot sandwiches, so this one worked out just fine for me. 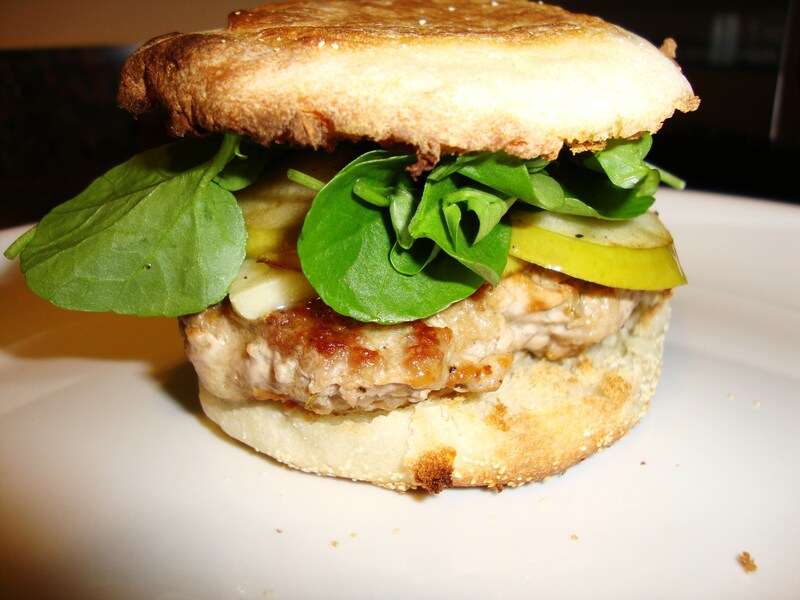 Rachael Ray calls this a “sammie” — in my opinion, there’s not much that’s more annoying than that word. Nails on a chalkboard. So let’s just call it a sandwich, shall we? Okay then. 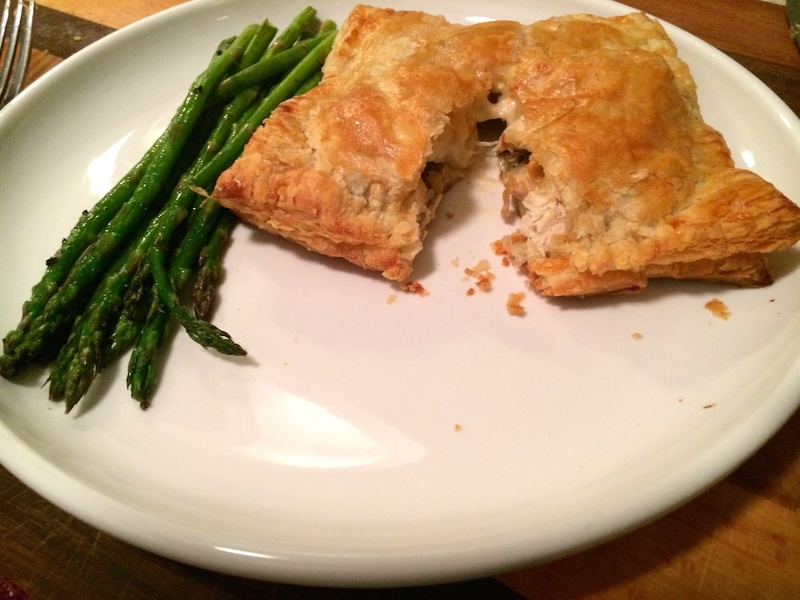 I made this with ground turkey instead of chicken because it’s easier to find and I had some on hand. I thought I had an onion on hand and I didn’t (oops!) 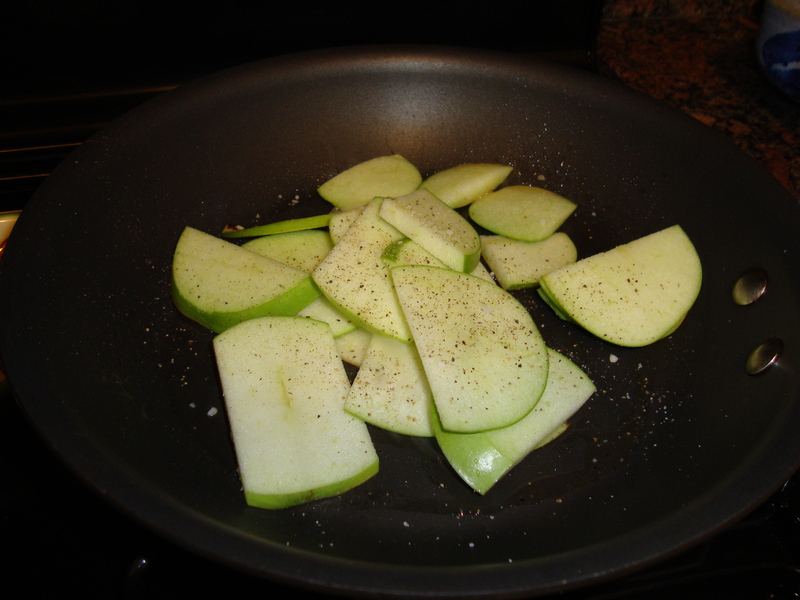 so I just sauteed the apples. I’m not a huge onion fan, but I’d definitely add *maybe* half of one for a little extra flavor. Not a fan of too much onion. I made my own honey mustard with honey and Dijon mustard (duh) and it was quite tasty. If you don’t want to bother with the broiler, just put the cheese on the burgers when they’re almost cooked and tent the pan with foil for the last few minutes so it melts. Serve with salt and vinegar chips — my fave! In bowl, mix chicken with salt, pepper and poultry seasoning. 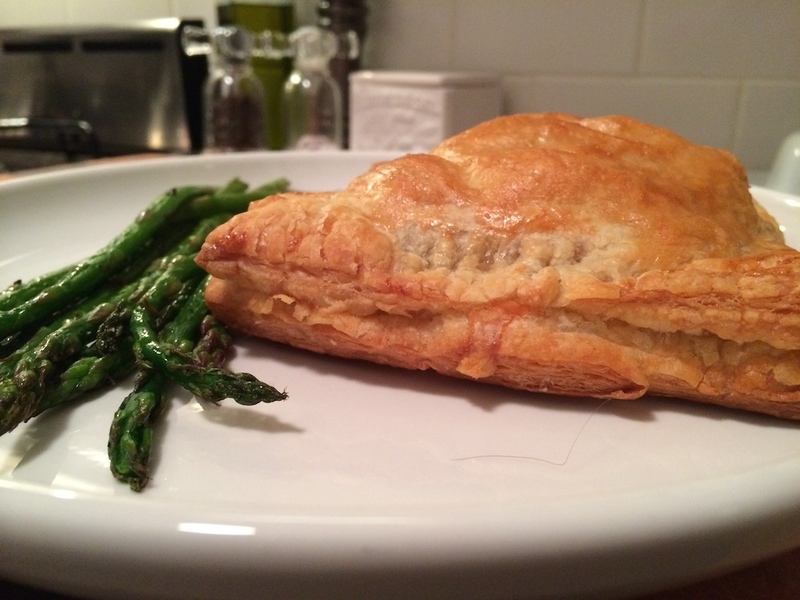 Form 4 thin patties. Preheat one large and one medium sized skillet over medium-high heat. Add about 2 tablespoons of EVOO, twice around the pan, to each skillet. 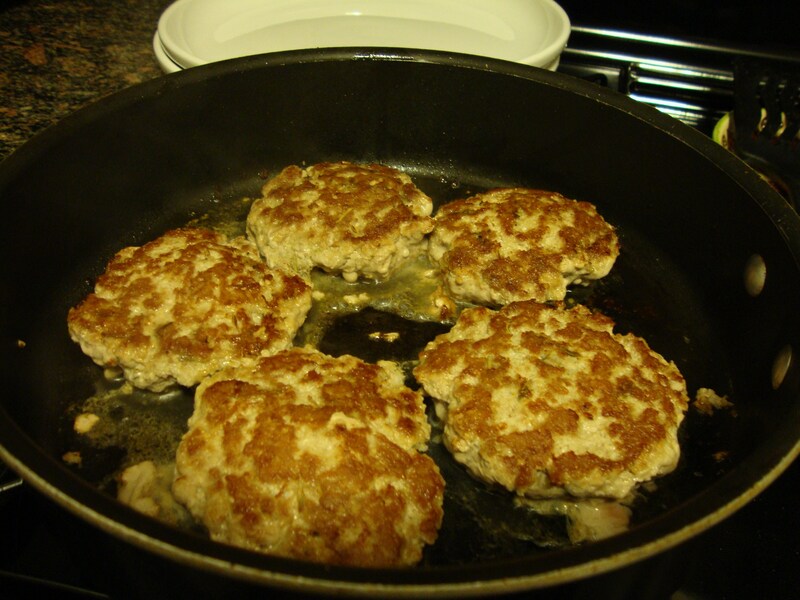 Place chicken patties in large skillet and cook for 5-8 minutes on each side (or until cooked through). 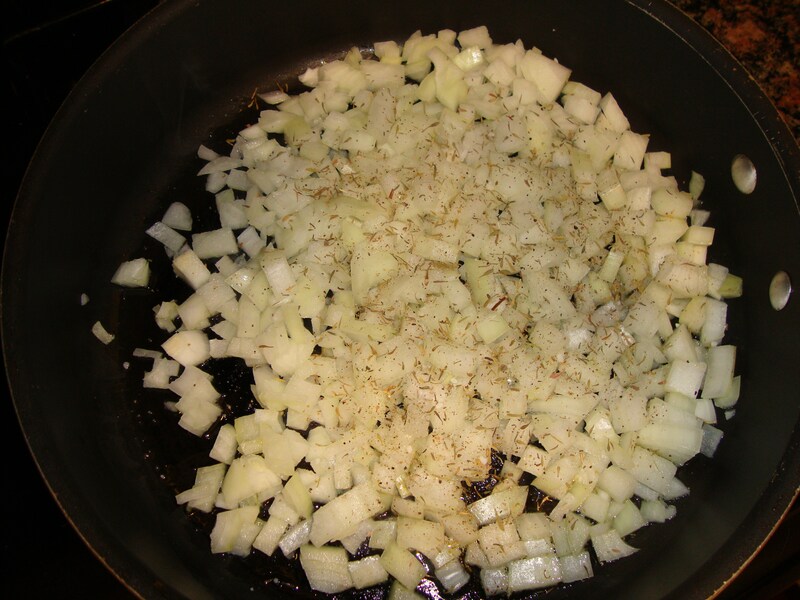 Meanwhile, add apples and onions to second skillet, season with salt and pepper and cook until tender, 6-7 minutes. 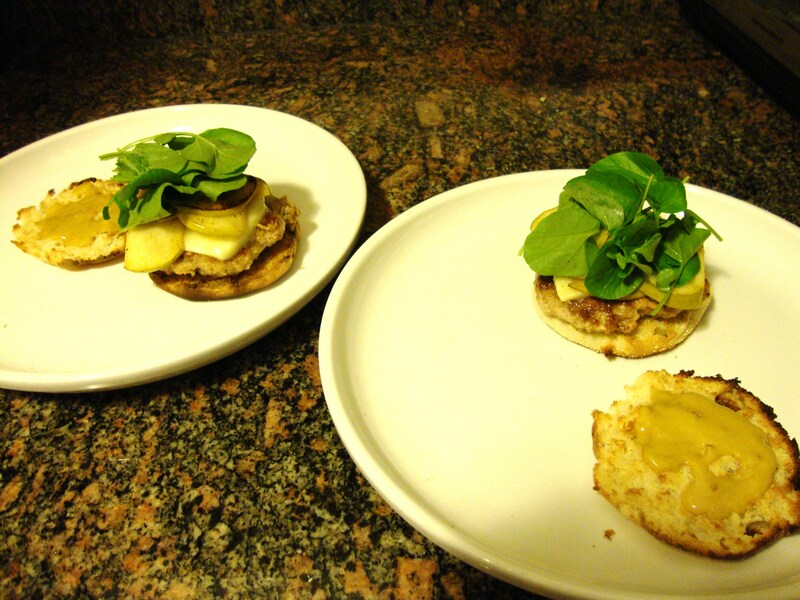 Place a chicken patty on each English muffin bottom and top with some of the apple/onion mixture and a slice of cheese. Slide them under the broiler for a minute or two to melt the cheese. Spread each muffin top with a tablespoon of honey mustard. 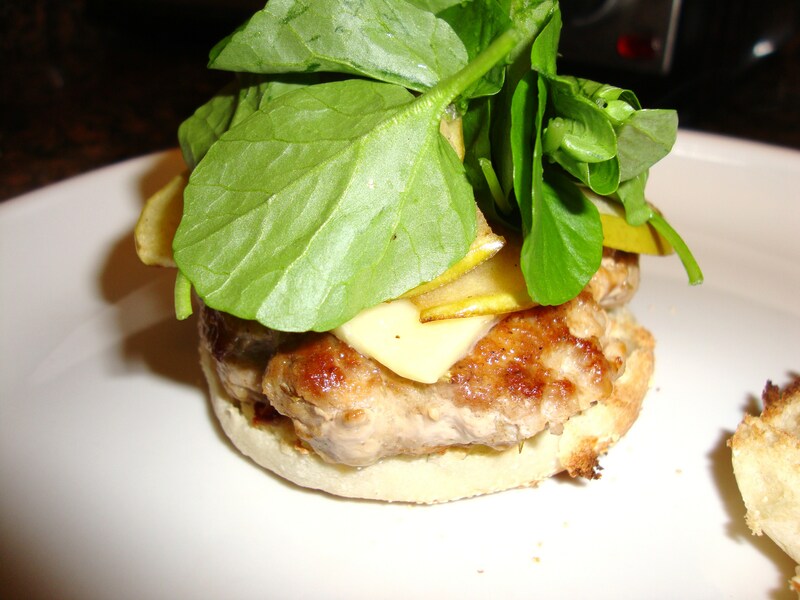 Top the chicken patties with a handful of watercress, set the muffin tops in place, and serve with a few chips.